There is nothing simple about this gorgeous Tacori necklace from the City Lights collection. 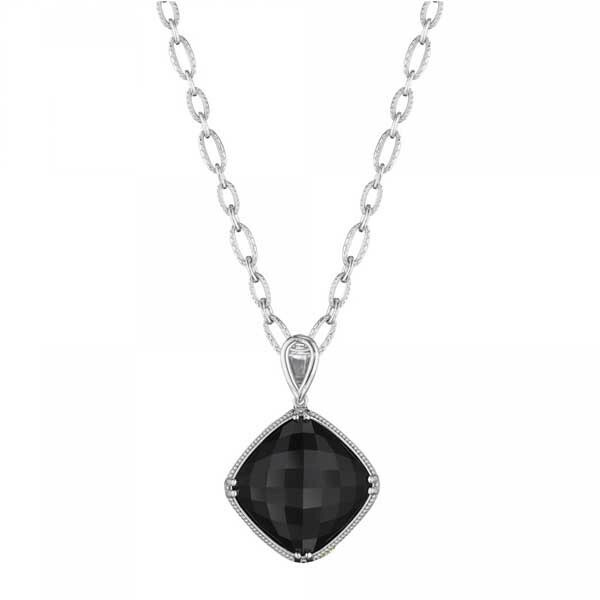 A faceted black onyx is surrounded by lush sterling silver with milgrain details to form a stunning pendant, and it dangles elegantly from a 33" link chain. Pair it with other Tacori pieces from this collection to create a treasured look that will flatter any style.